Lula E. Eckley 1926-2016 May 25, 2016 NILES - Lula E. Eckley, 89, died at 11:30 a.m. Monday May 23, 2016, at her residence. She was born Nov. 1, 1926, in Amarillo, Texas, the daughter of Jack and Wynomi Keith. Lula was employed as department manager for Carlisle Department Store for 30 years and enjoyed taking gambling trips. Her husband, Norman "Jack" Eckley, whom she married Aug. 27, 1945, died Feb.12, 1994. 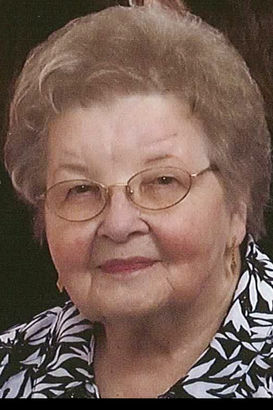 She will be deeply missed by her son, Jack Eckley, with whom she resided; two daughters, Marie (John) Proudfoot of Florida and Lorraine (Don) Timko of Champion; three grandchildren, Brian Eckley, John N. (Amy) Proudfoot and Samantha Timko; and two great-grandchildren, Stryder and Wyatt. She was preceded in death by a daughter, Marlene Smith; a granddaughter, Lindsay Renee Timko; and a brother, Jack Keith. Please share your memories of Lula.